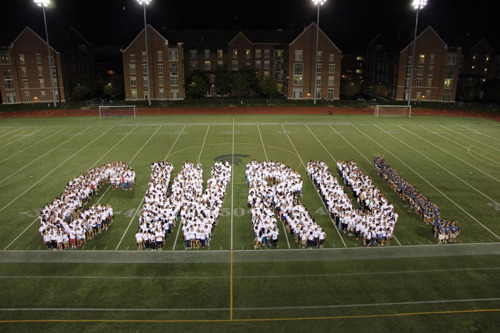 Somce most tecemt posts have been about CWRU thought I’d add a little W&J perspective. VS CMU CMU leads 32-30-6 first game in 1906. Until CMU and CWRU returned to the PAC CWRU had not played W&J since 1985 while CMU had not played W&J since 1989. Wonder what the all time records would look like if CWRU, CMU and W&J had played during those years? Regardless, it is great to see these long term well contested rivalries renewed. I woke up this morning looking for kickoff. Where do I go on the Web to find it? I don't think it's up yet. Try back about noon. There's a link in the dropdown menu under the "News" tab. I'm pretty sure that there will be a announcement on the landing page once it's up. Cool stuff! Thanks for sharing. Kickoff is up and running. Saw it in the afternoon! My bad! Still surprised to see us ranked so highly in pre-season. Maybe they'll fool me! I'll tell ya what's amazing. Schools like Mt. Union have 200 players in camp. Others like Oberlin have only 55. I know that 55 is the number reported in Kickoff, and so the number that Oberlin gave as its roster size. On the Oberlin football homepage, they list 42 on the 2018 roster. This includes 5 returning offensive linemen, and 4/5 freshmen OL. That's awfully skimpy to go into a season. 91 FY's (176 total) reported to camp for TMC. Kids from AL, OH, KY, IN, IL, LA, MI, NY, FL, GA, TN. There is at least one transfer who will be making an impact at WR. The Saints need QB Justin Post to step up. The entire OL returns. I think they are poised to make some waves in 2018: They have a schedule to do just that. Biggest shocker is that true freshman QB Drew Saxton is definitely getting reps with the 1st team. Thanks. Figured out my error, and corrected my link. Nothing wrong with having two working links. Well, here we are -- WEEK #1. It'll be fascinating to see the depth charts once this week's game preview comes out. The results against JCU are encouraging, but in the end, it's still just a scrimmage. 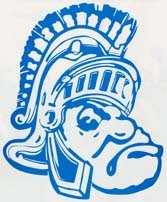 I'm sure that CWRU will do OK in the first few weeks, as the teams that they are facing don't seem particularly strong. But I still say that a repeat conference title is a stretch. Hopefully, they prove me wrong! Not to get too far ahead, but it's fascinating to think that's most likely a 4-year QB starter for the Spartans.